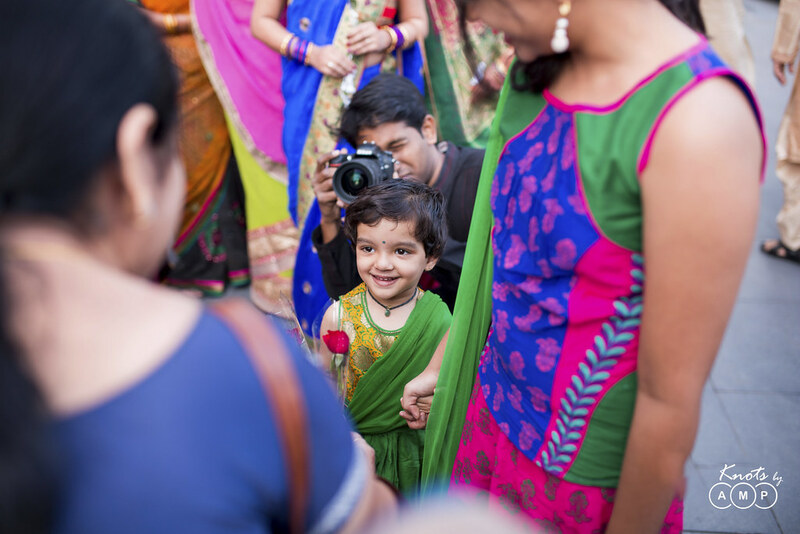 What makes every photograph best in itself, is the moment it captures now and the memories it builds for later. A picture hides the stories lived by many eyes into one. Aalekh & Shraddha’s wedding is woven into one by these pictures that say a hundred words of vows, rituals, love, joy and determination. 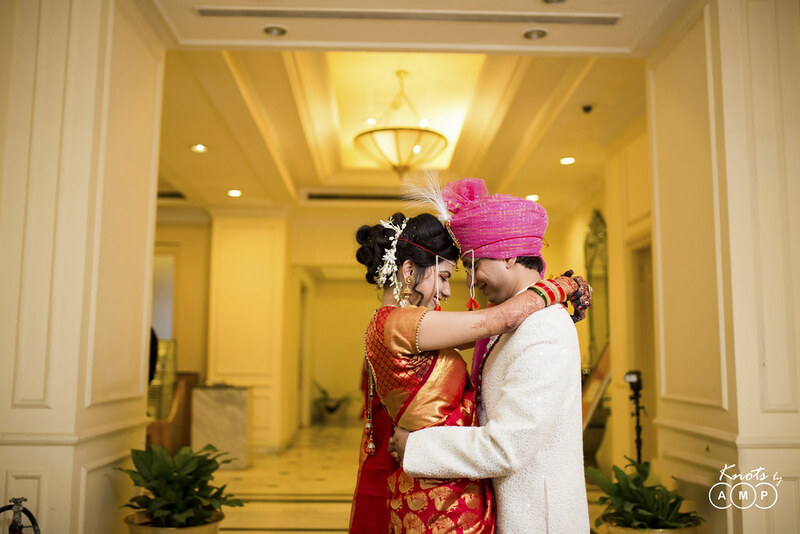 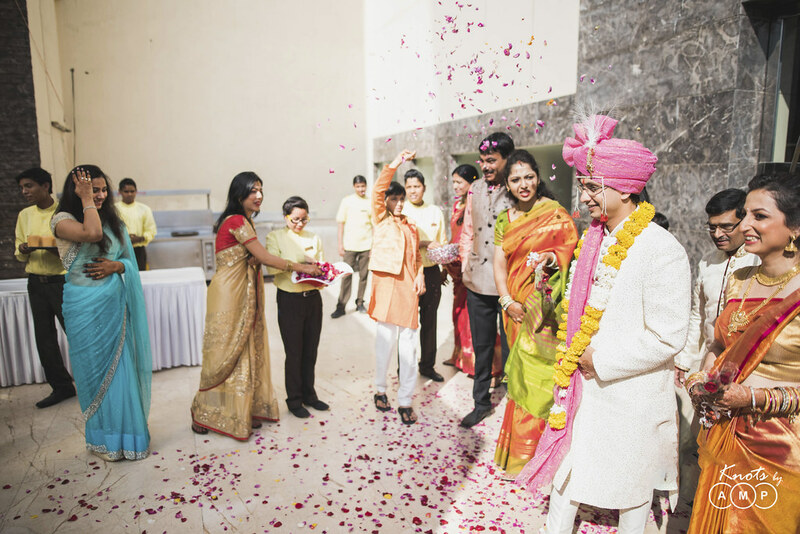 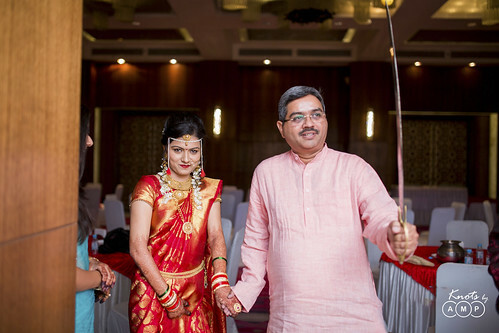 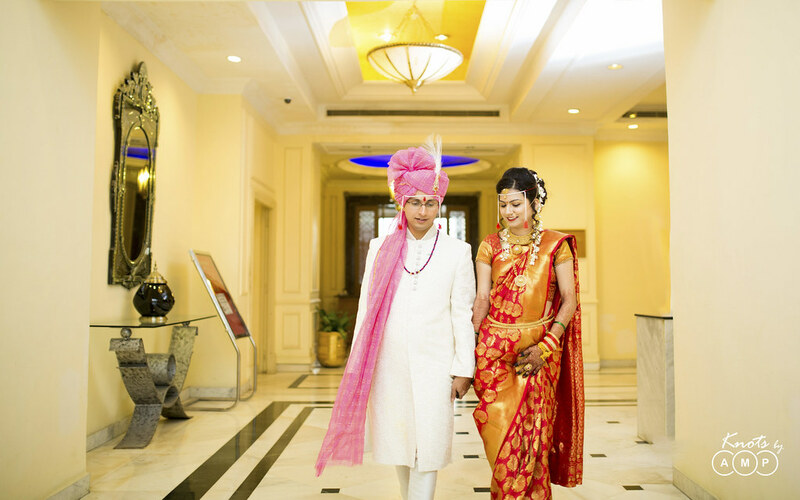 At Fortune Landmark Indore, where the hotel was lit up to celebrate many such stories, Aalekh & Shraddha stood there walking up a determined journey of being with each other for 8 long years. 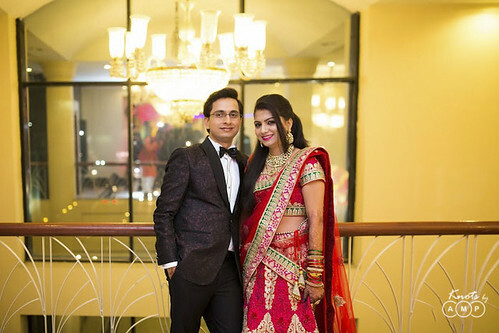 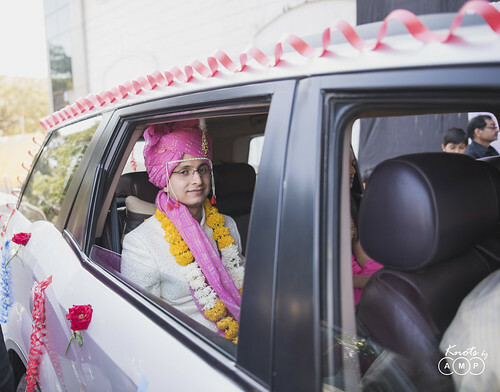 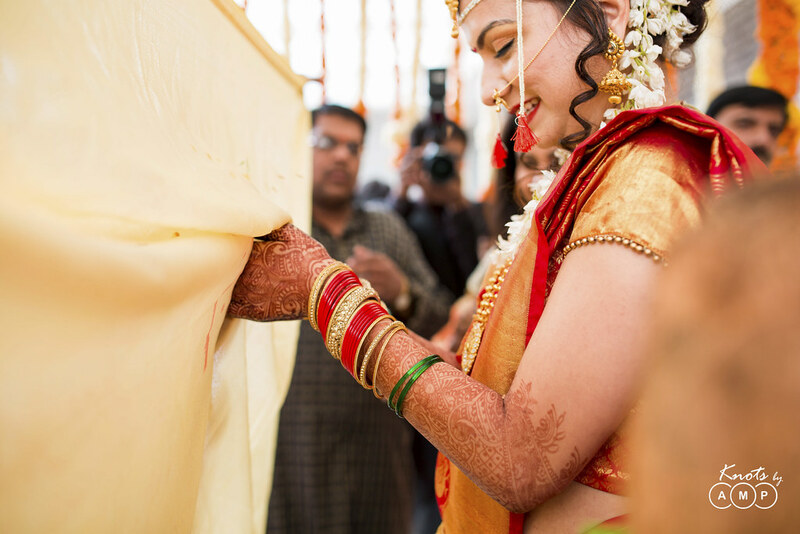 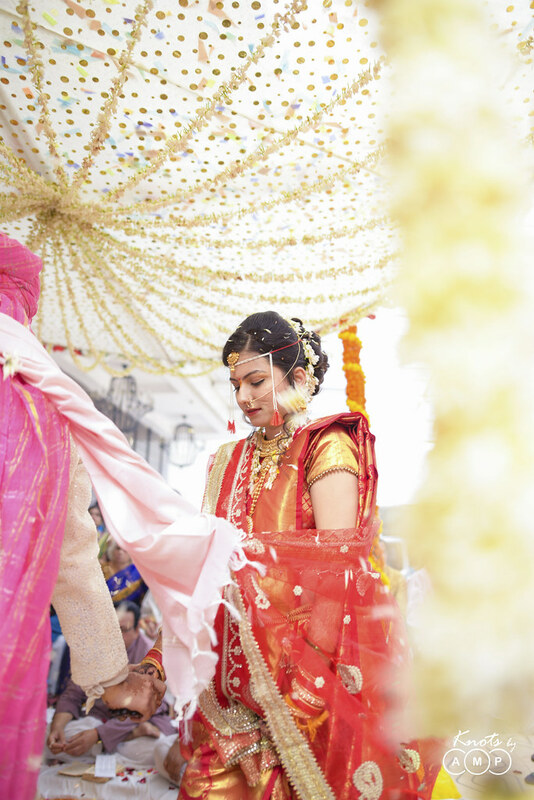 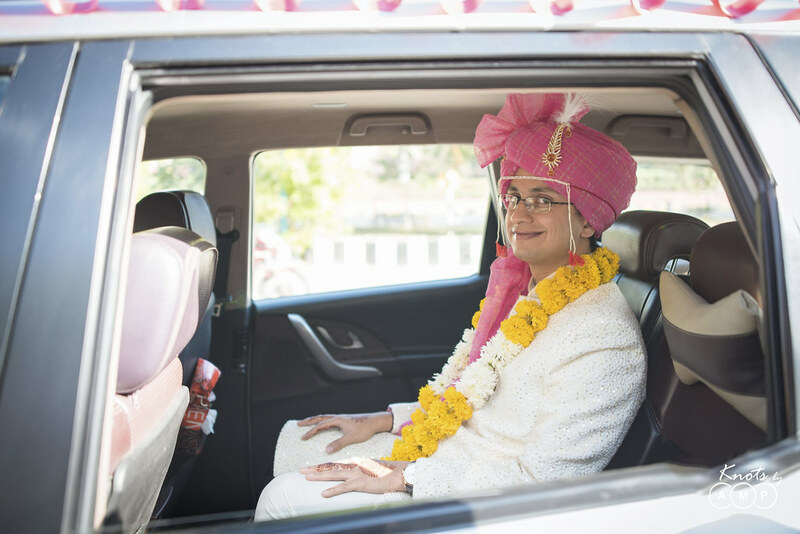 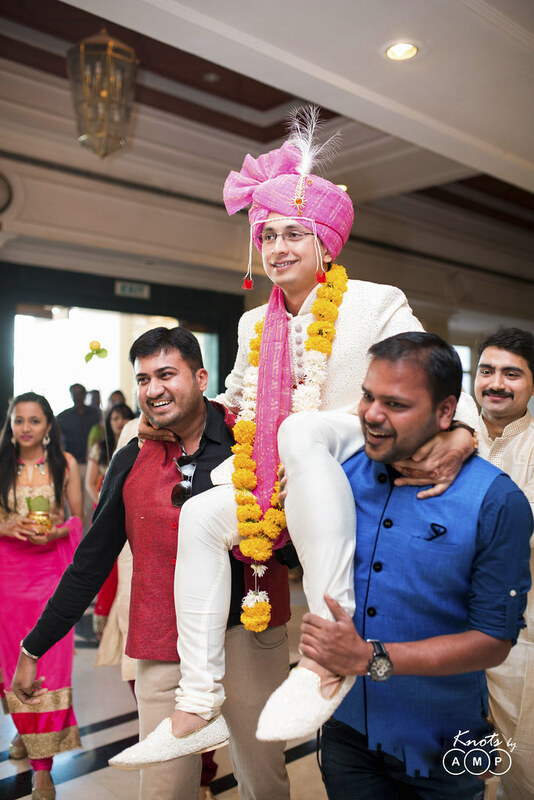 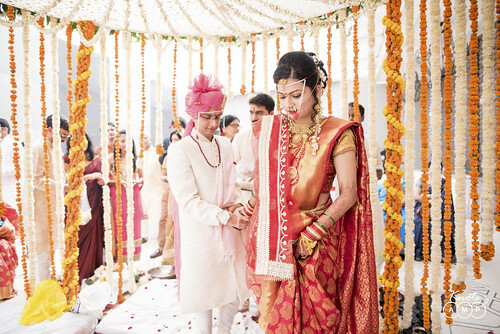 The confident and jovial fashion designer, Shraddha, met the calm and composed engineer Aalekh during college days and their story took the most beautiful turn in a palatial mandap on 9th December 2015 with their loved ones as they decided to hold each other’s hand for a lifetime. 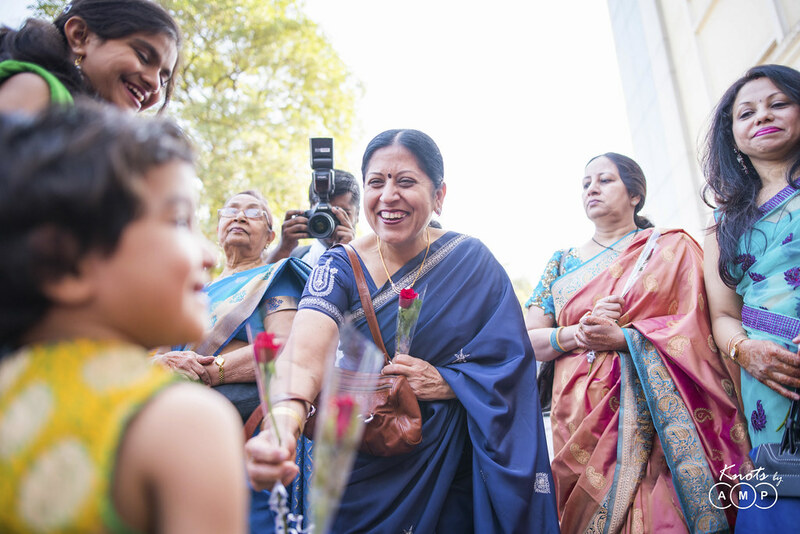 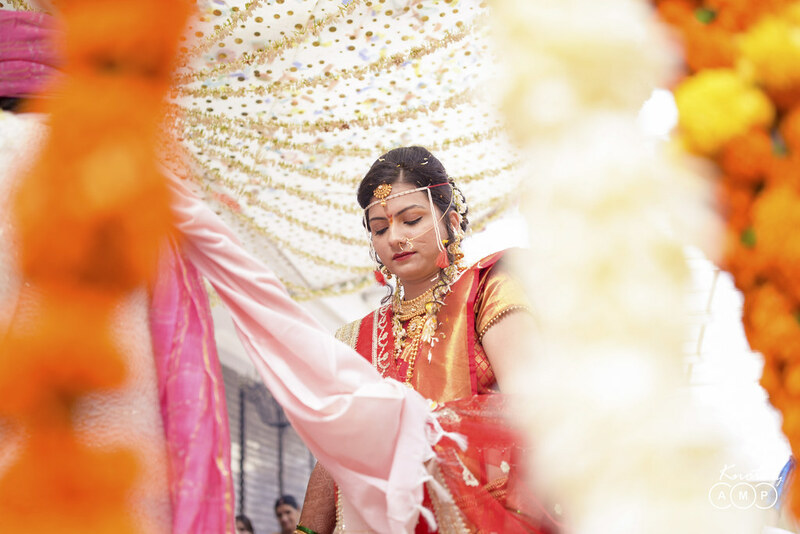 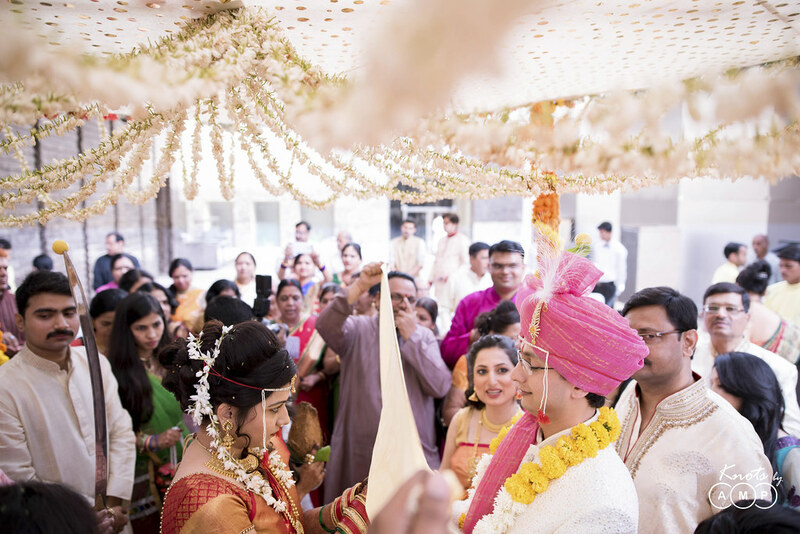 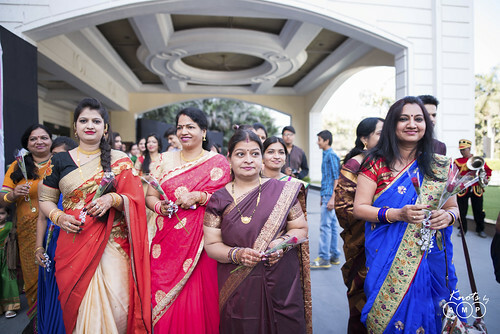 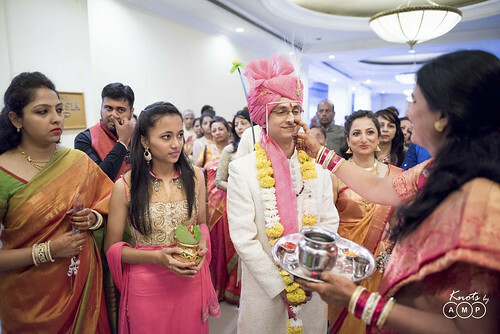 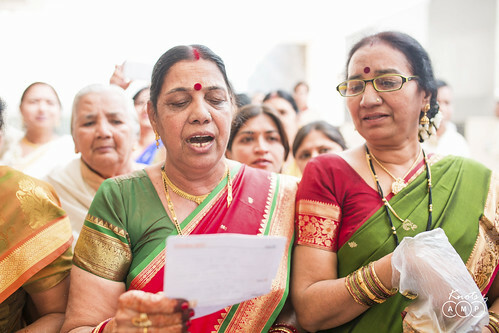 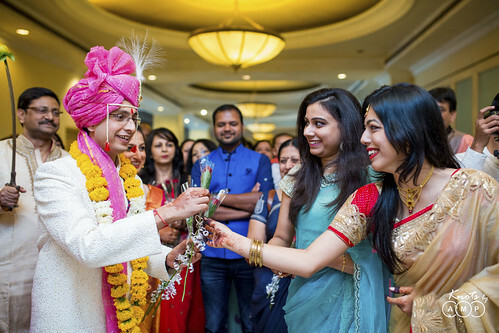 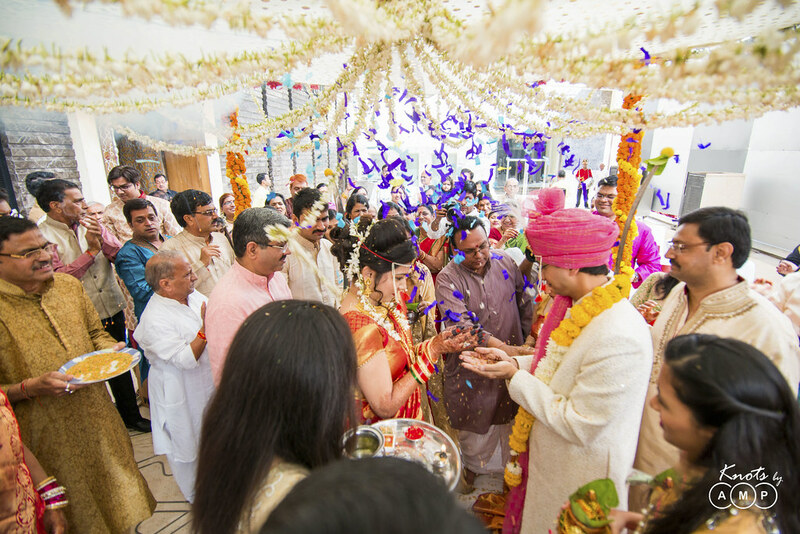 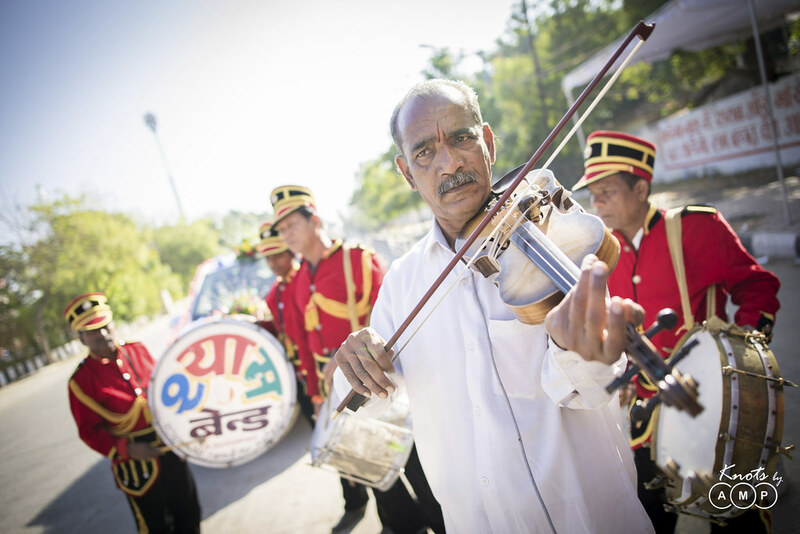 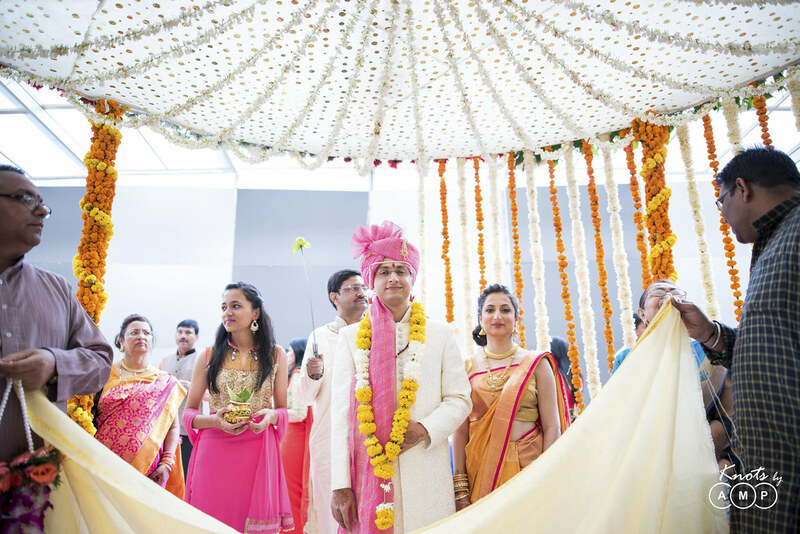 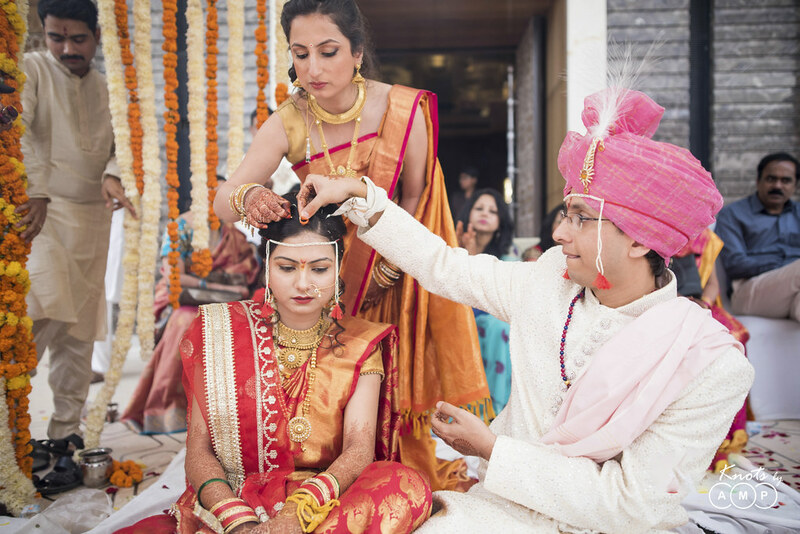 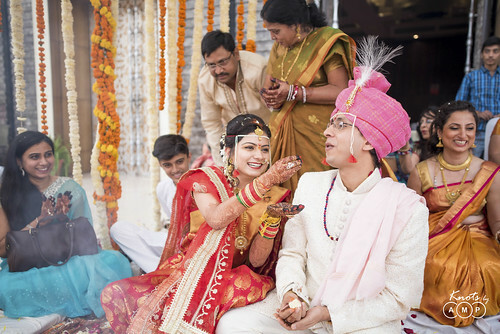 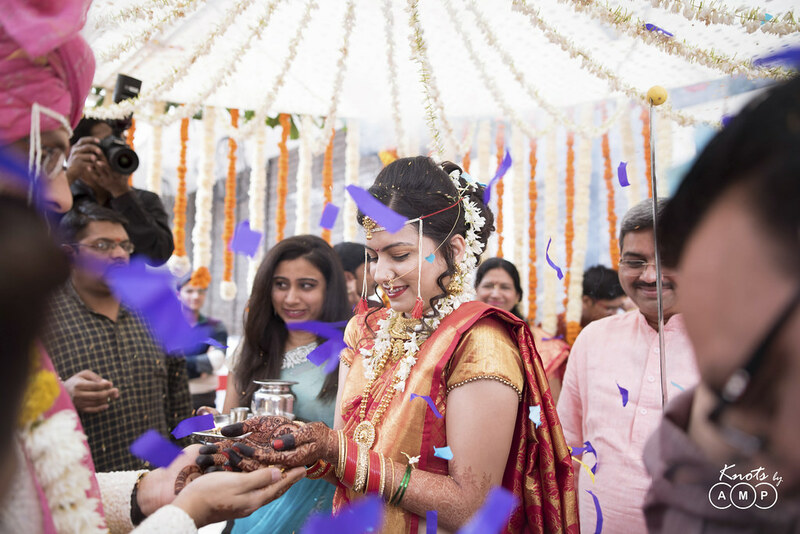 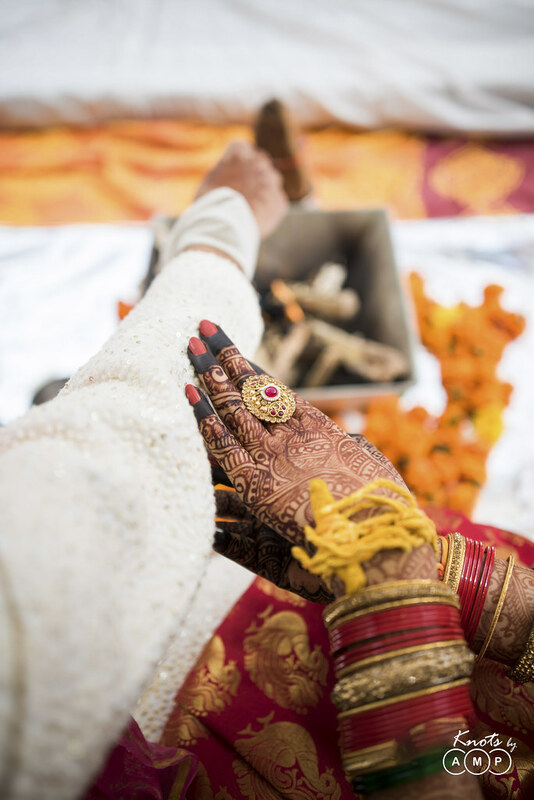 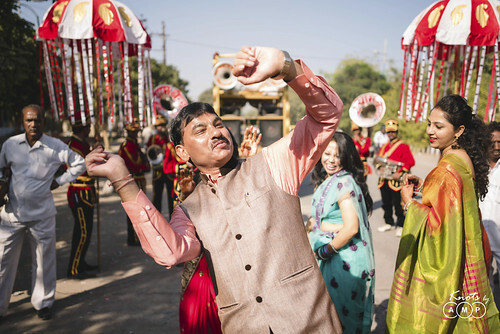 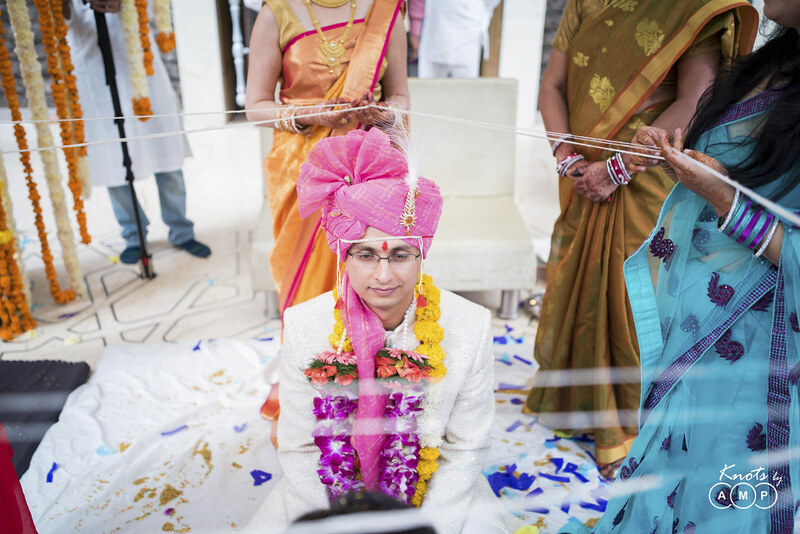 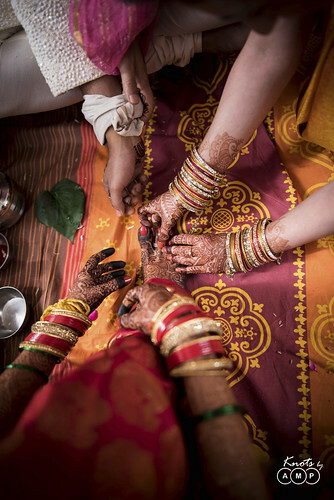 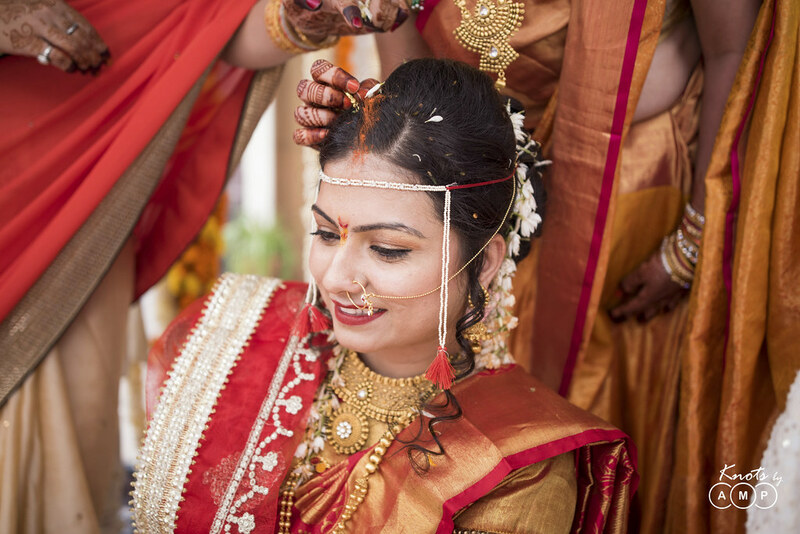 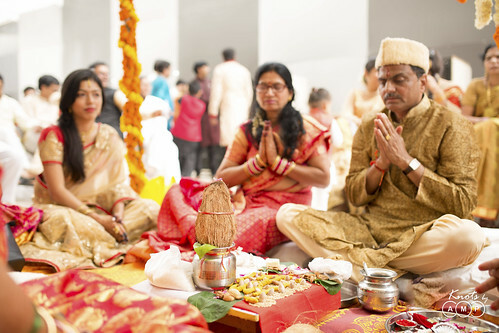 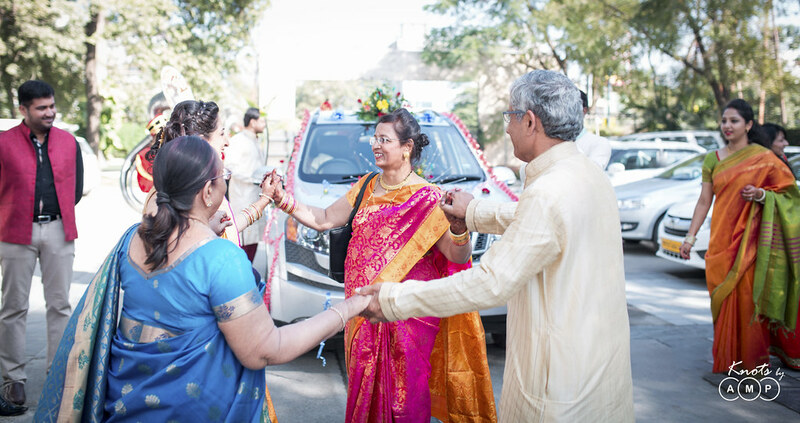 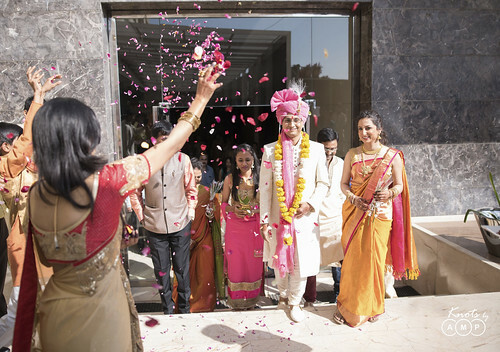 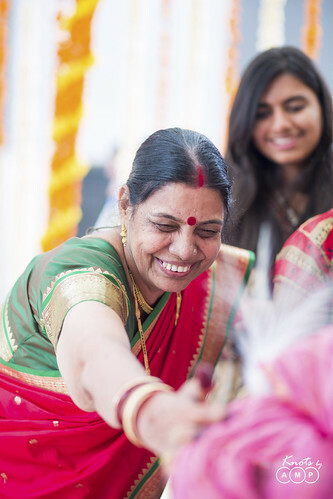 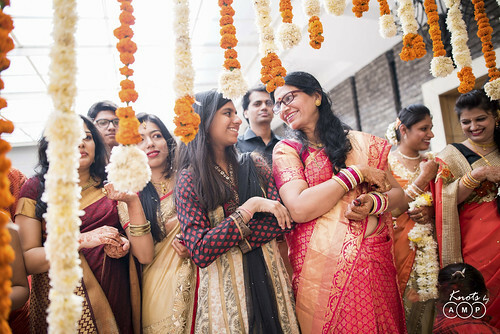 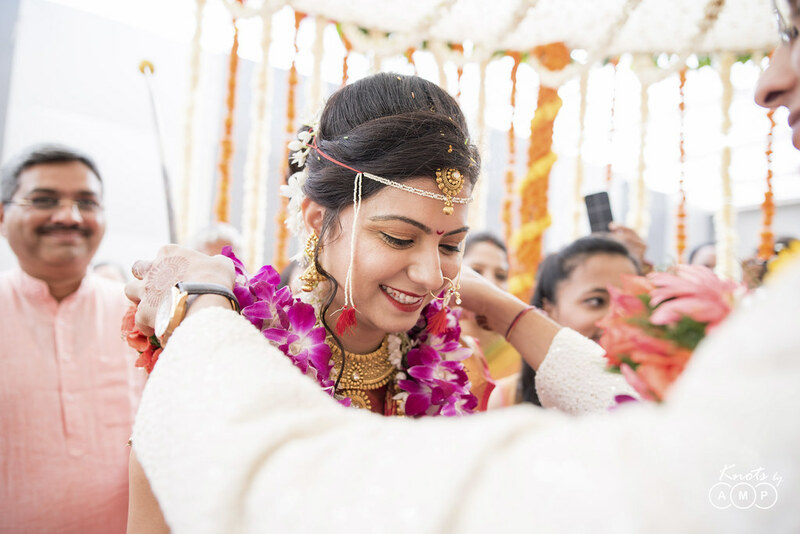 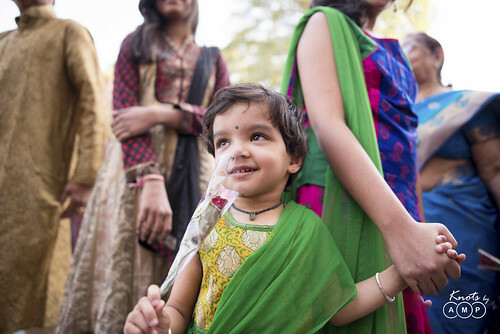 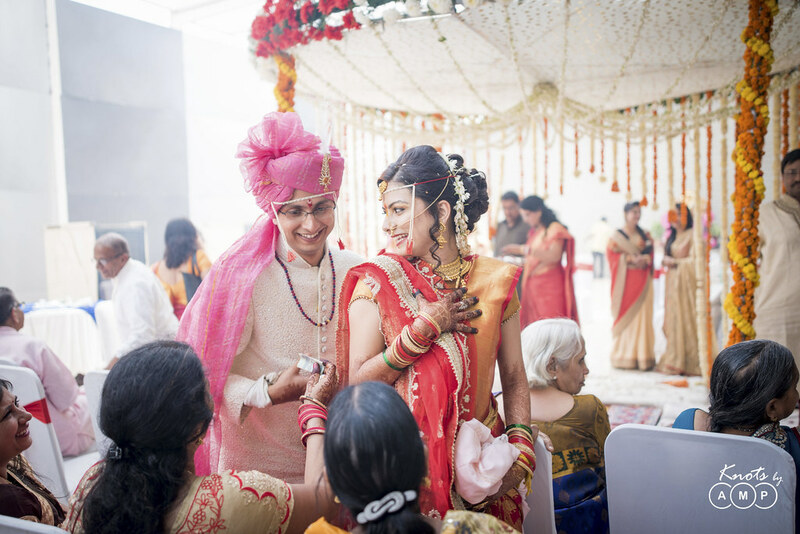 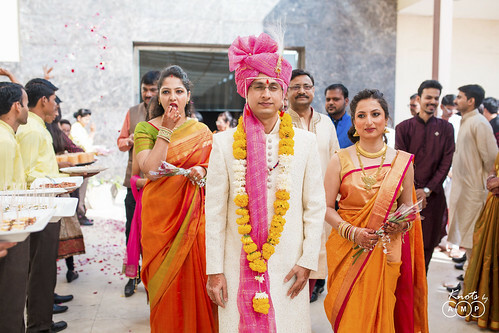 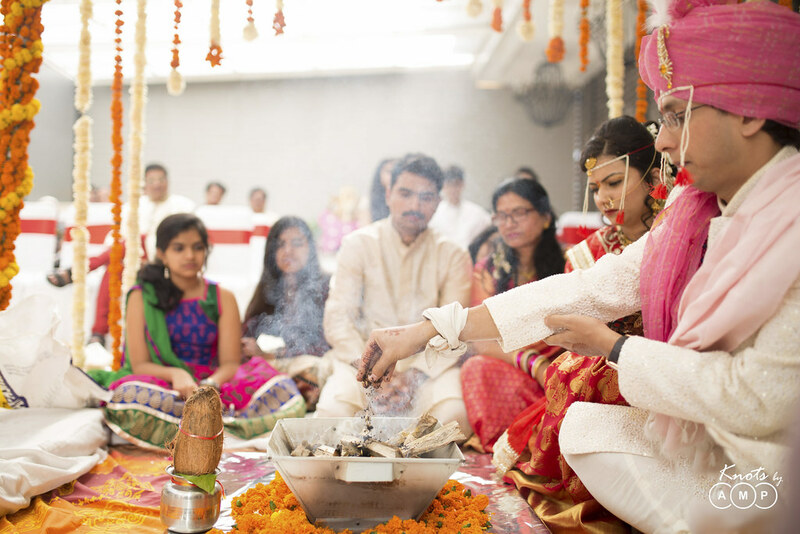 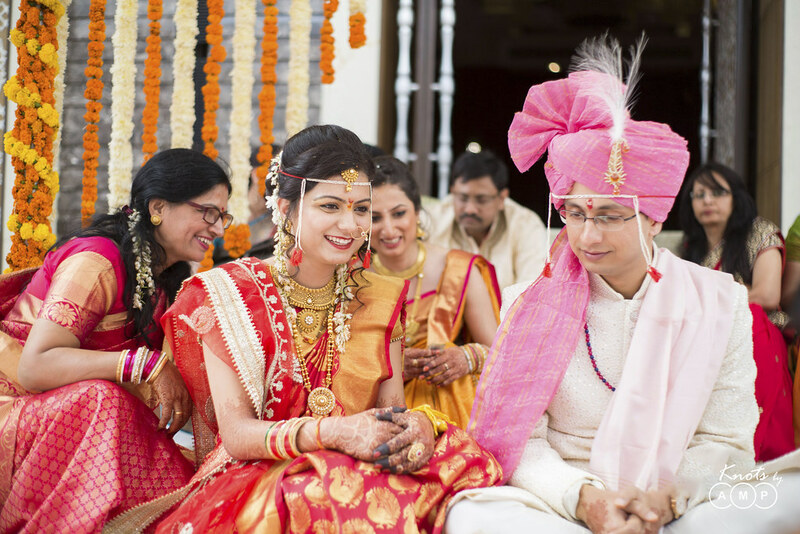 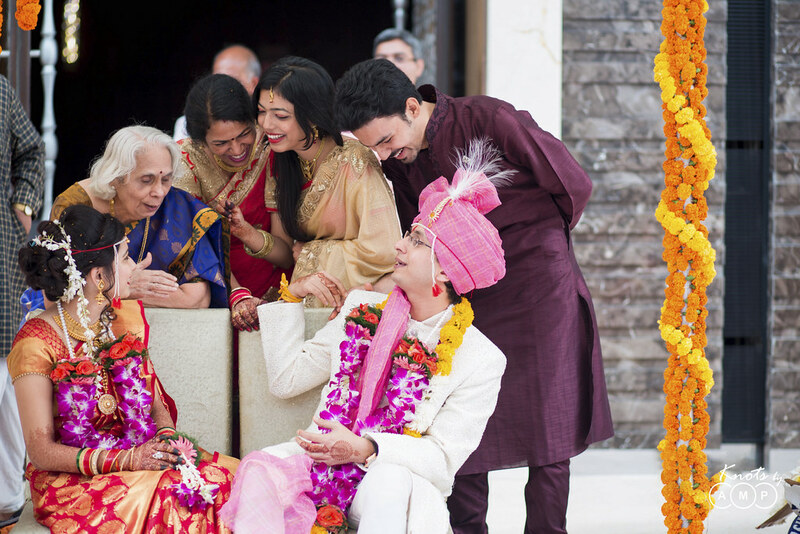 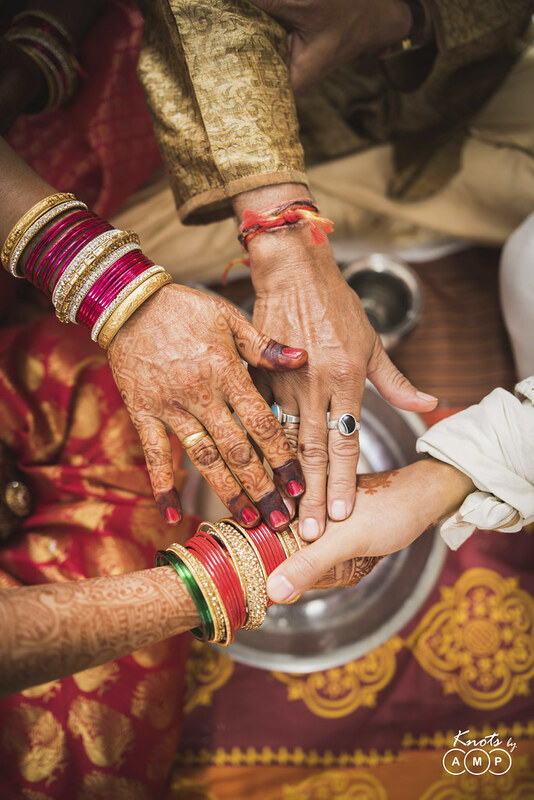 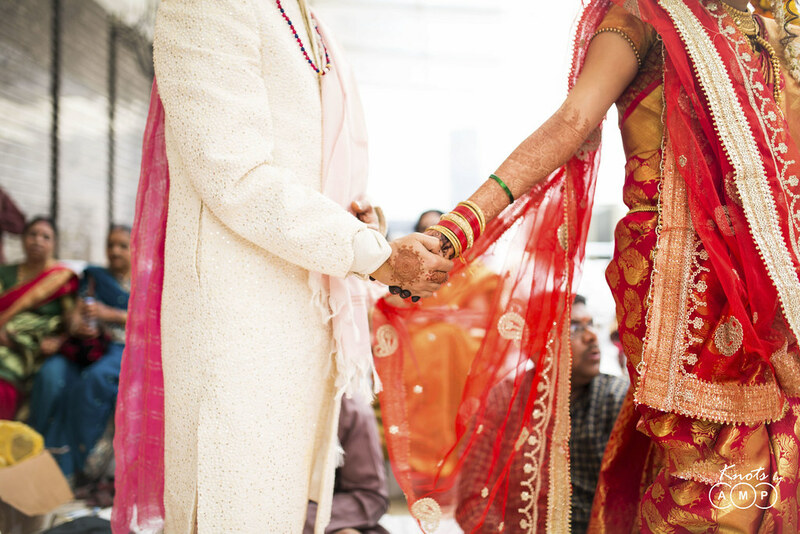 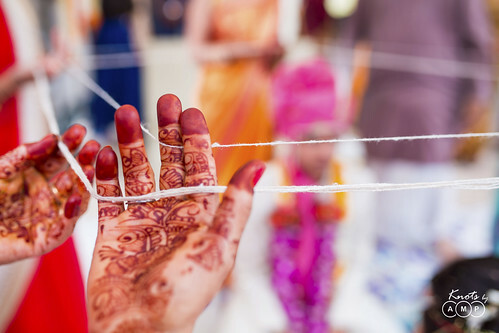 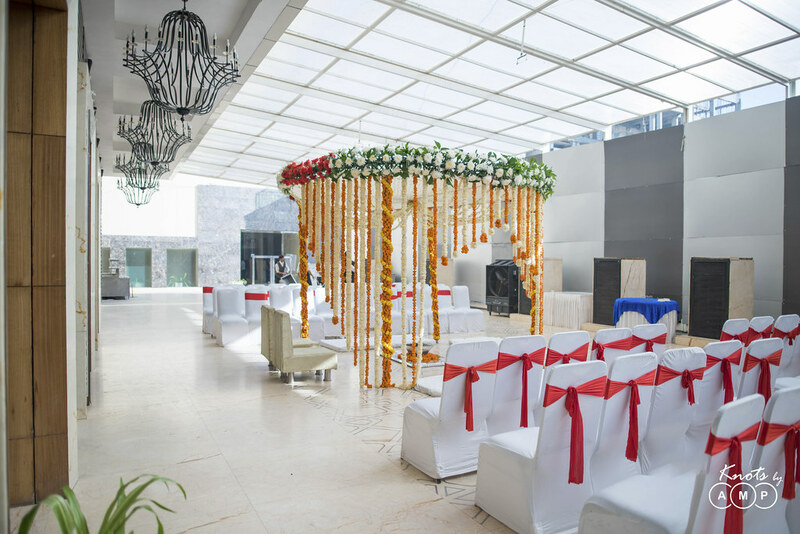 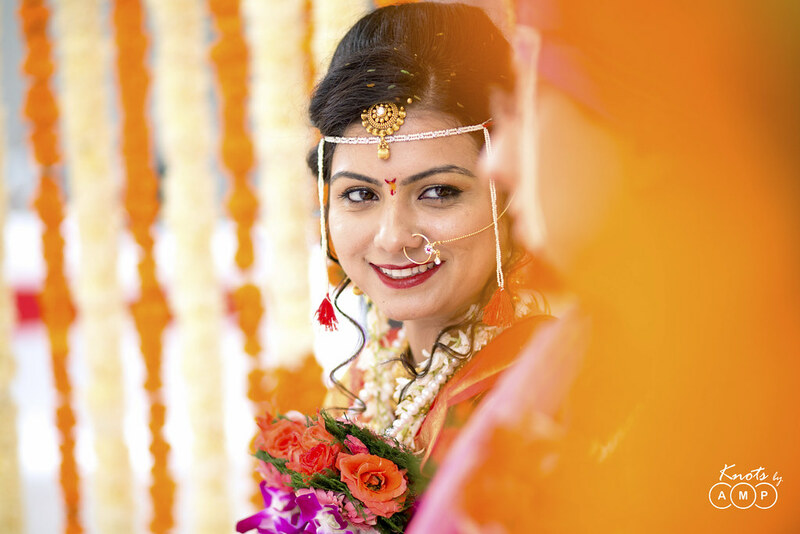 As the marriage ceremonies were wound up among the close knit members of the family, the reception welcomed friends and other members to join the festivity. 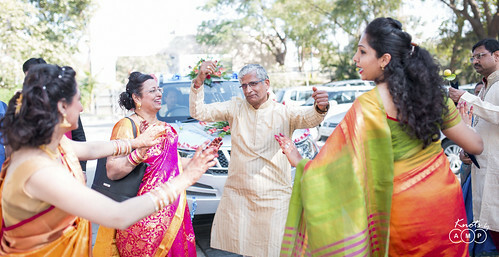 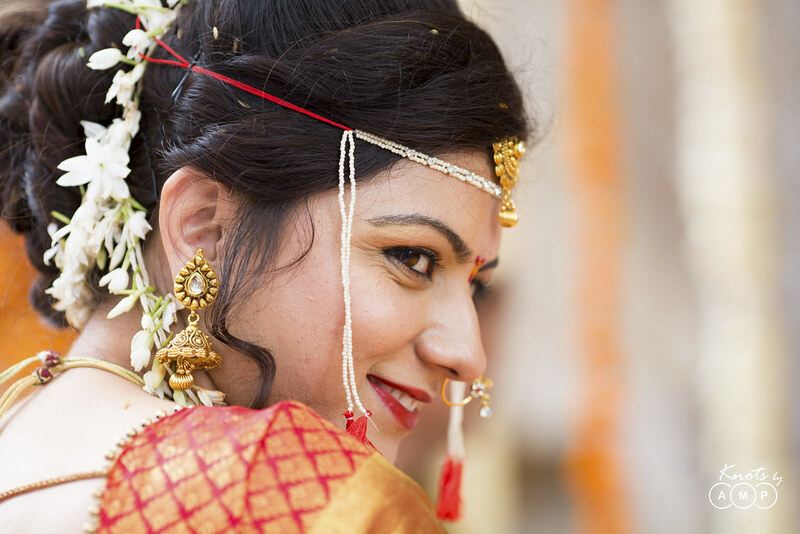 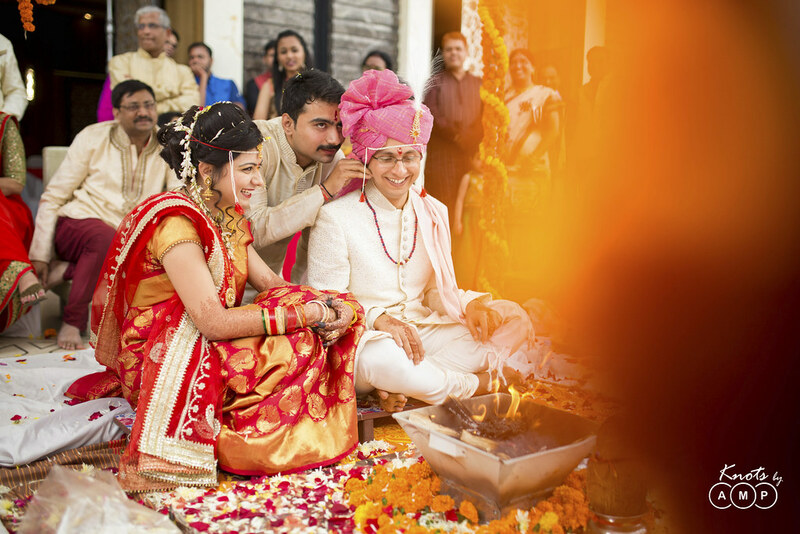 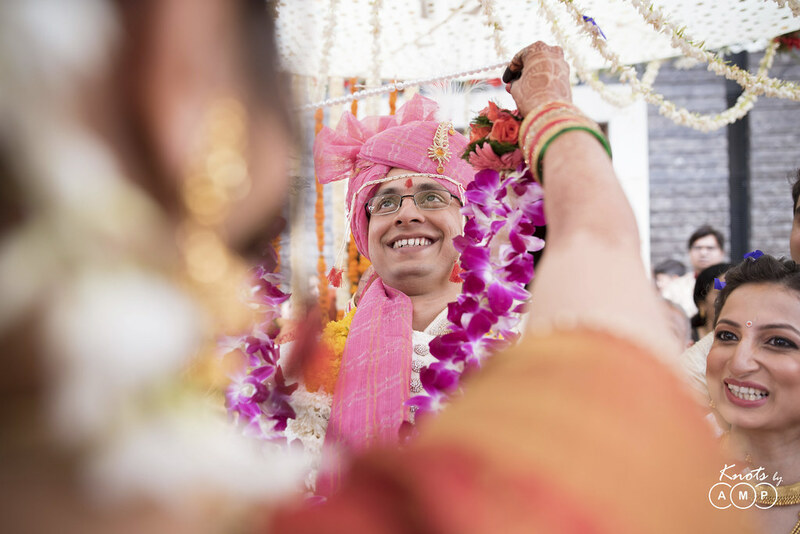 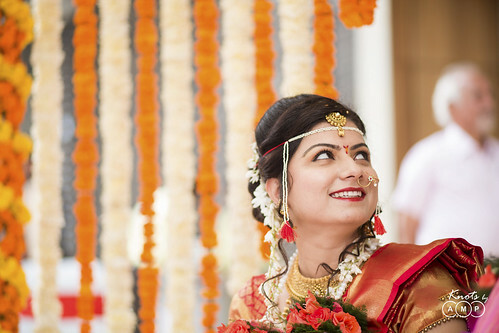 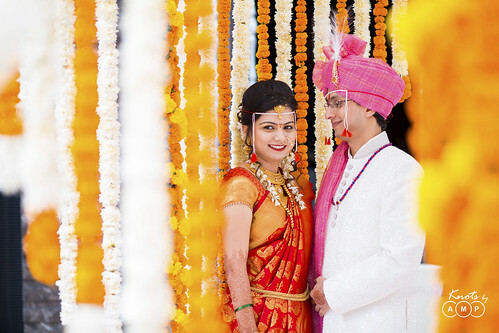 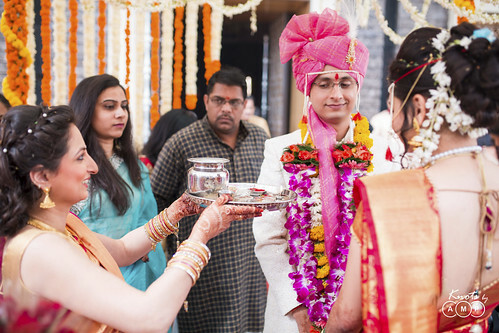 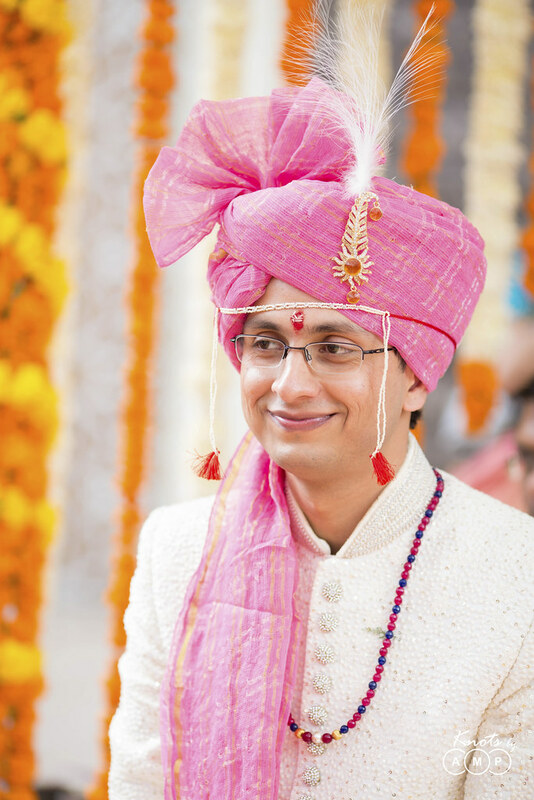 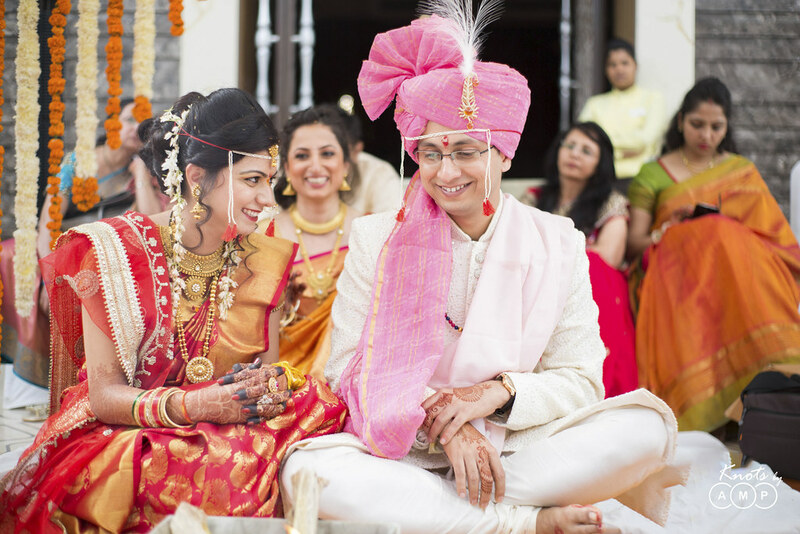 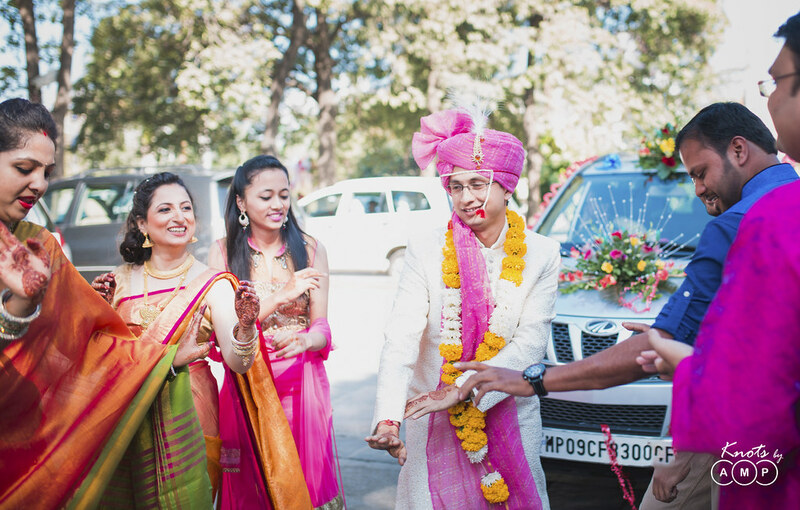 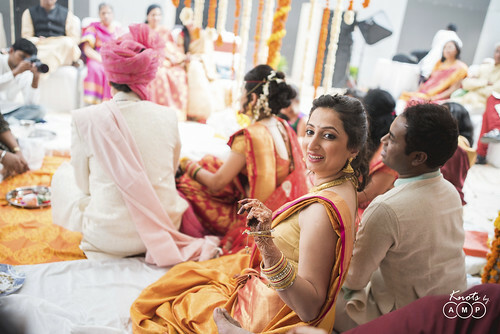 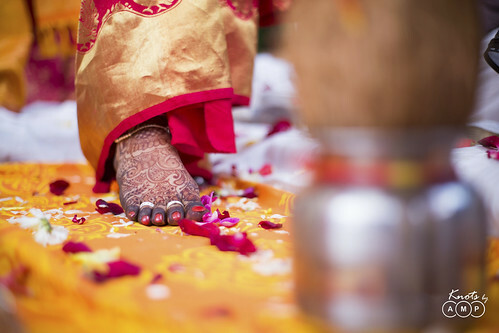 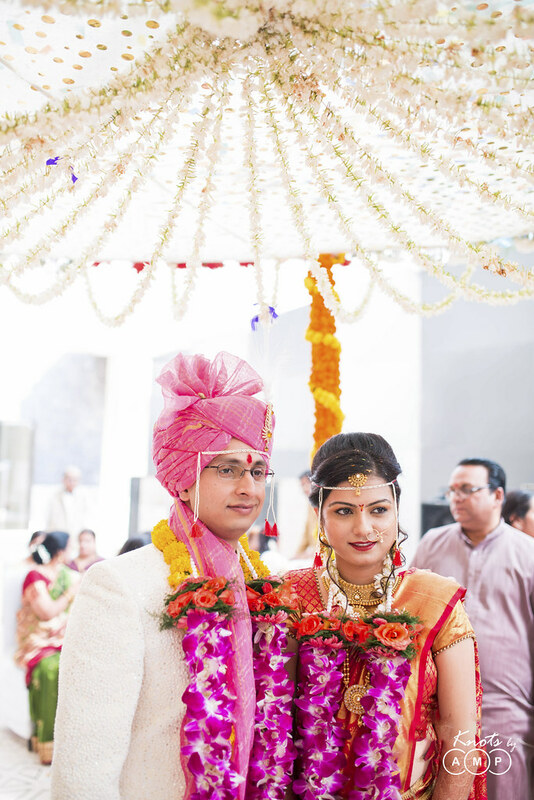 The wedding was full of charm and fun blended well in the Maharashtrian tradition. 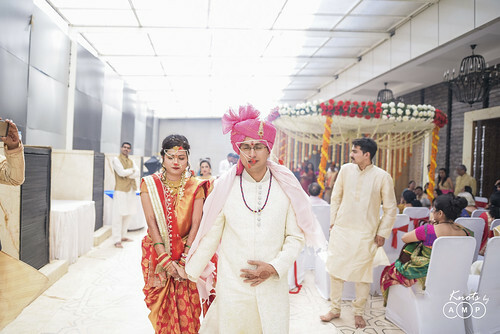 The reception was a magnificent get together at the rooftop hall of Sayaji Hotel in Indore. 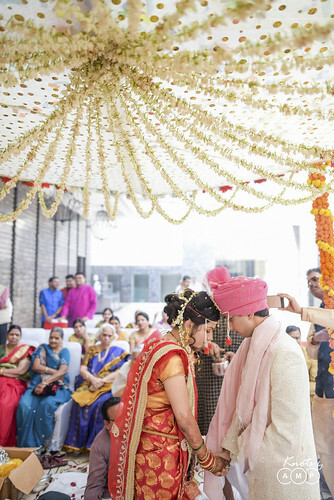  Here is the complete photo-set!